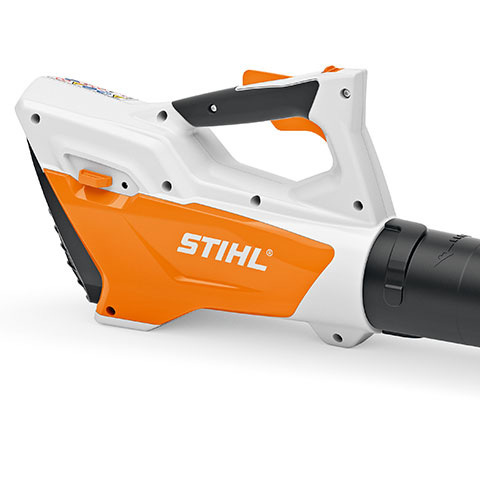 BGA 45 - A battery-powered blower with an integrated Lithium-Ion battery and the performance of STIHL. Part of the Lithium-Ion series, the BGA 45 handheld blower delivers the power you need at an incredible value. 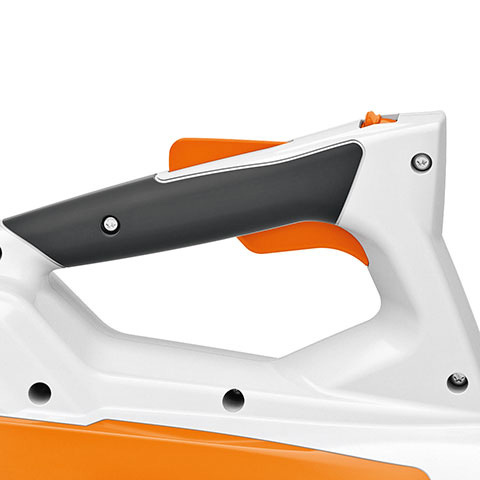 It is exceptionally quiet and lightweight at just 2kg, including integrated battery. On a single charge, the BGA 45 can clear up to a tennis court (200m2) with a blowing speed of 157 kmph and an air volume of 500 m3h. If you own a small property and need a quick go-to blower for your driveway and walkways, the BGA 45 is the complete package. Usage claim tested and verified by an independent third-party test laboratory. Run time may vary based on battery type, charge level and capacity, model, operating style and conditions. Comes with integrated battery and charger. Thanks to the two-hand control device and soft handle with lever lock function and lever, the user always has the cordless blower safely under control. 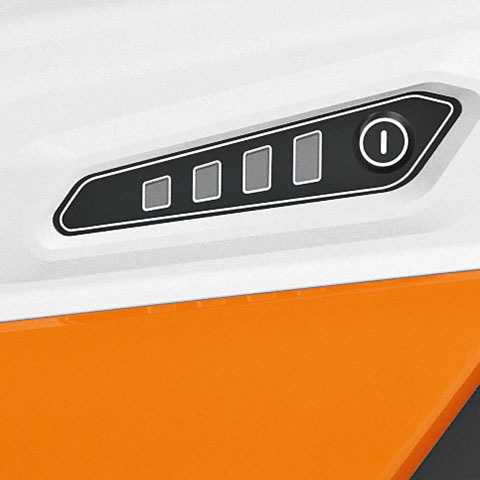 The integrated battery cells mean that the tool is optimally balanced. The BGA is easy to handle. 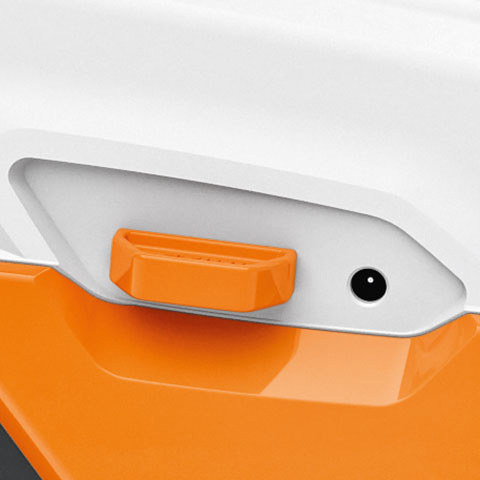 Its streamlined design creates plenty of room for manoeuvre.